Statistics show that employees who eat healthy, follow a weekly exercise program and practice regular stress reduction techniques are happier, more productive and take much less time off of work. Total Wellness offers a variety of choices for health education at your site. All day workshops, lunch time seminars and on-going nutritional counseling programs can be tailored to the needs of your company. Renee has extensive experience working in a corporate setting and would be happy to talk to you to find our how our corporate programs can be tailored to meet your needs. Please contact us for more information or to schedule a program at your location. Watch below as Renee gives a keynote speech on anti-aging at the Ladies Lunch at the Bedford Golf Course in Bedford, NY. 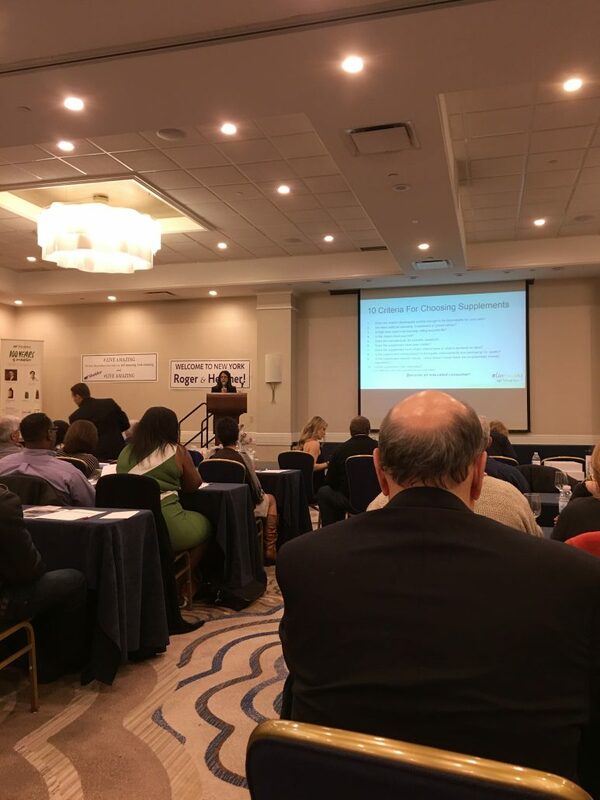 Watch below as Renee speaks at the Nutrition Myths and Facts Discussion at the Crown Plaza Hotel in White Plains, NY.